batata nu shaak recipe | bateta nu shaak | rasawala batata nu shaak with detailed photo and video recipe. a simple and easy gujarati curry dish made with potatoes in tamarind and jaggery based gravy. it is a popular and traditional curry which is typically made as a side dish to day to day roti and chapati. the recipe can be made as a dry or a gravy based variant and this recipe post is dedicated for a gravy version. batata nu shaak recipe | bateta nu shaak | rasawala batata nu shaak with step by step photo and video recipe. curry or sabzi recipes are essential recipes for many indian households which are made with wide variations of veggies and pulses. each region and state has its own unique and traditional recipes which meet its demographics and taste buds. 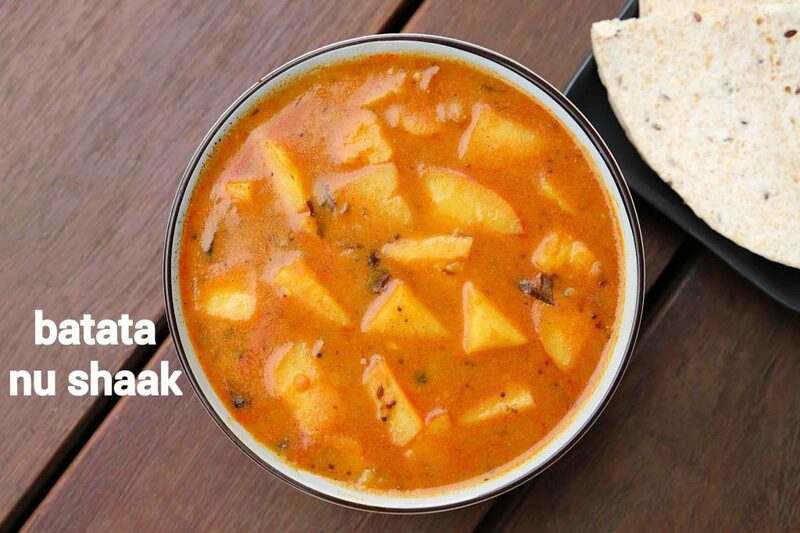 batata nu shaak recipe is one such easy curry from the gujarati cuisine made with potatoes or batata. 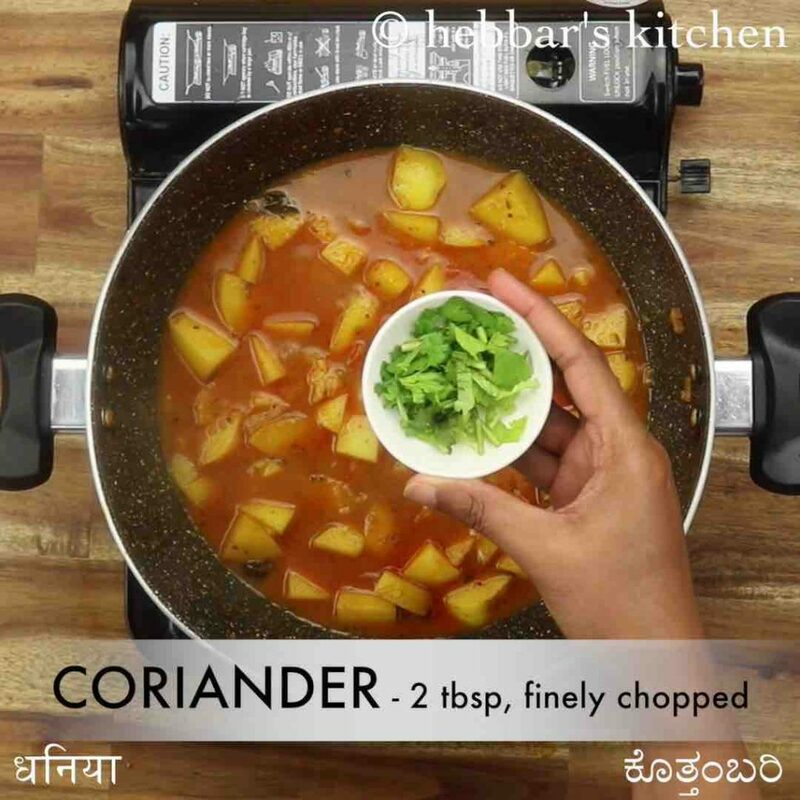 potato-based curries are very common in many indian households and can be made with different styles. it can be combined with other veggies to make and dry or variant or can be mashed and tossed with spices to make it as potato bhaji. 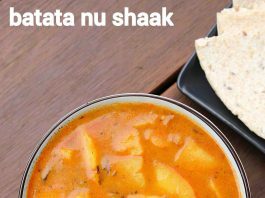 but this recipe of bateta nu shaak from gujarati cuisine is unique. the recipe is combination of flavours and taste enriched with dry and powdered spices. moreover, the gravy has a tangy sour punch as it is cooked with thick tamarind juice. 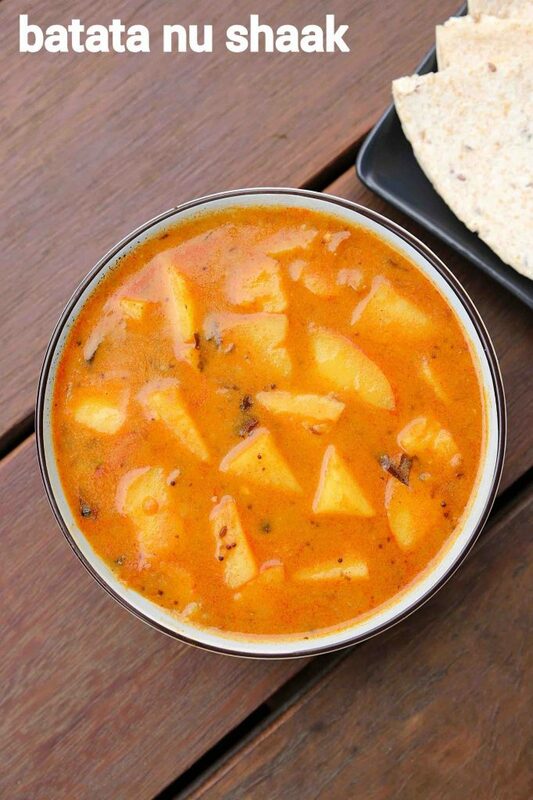 the addition of tamarind makes it very unique as compared to other potato-based curries. generally, it is served as side dish to flat breads, but i personally like it to be served with plain steamed rice or jeera rice. 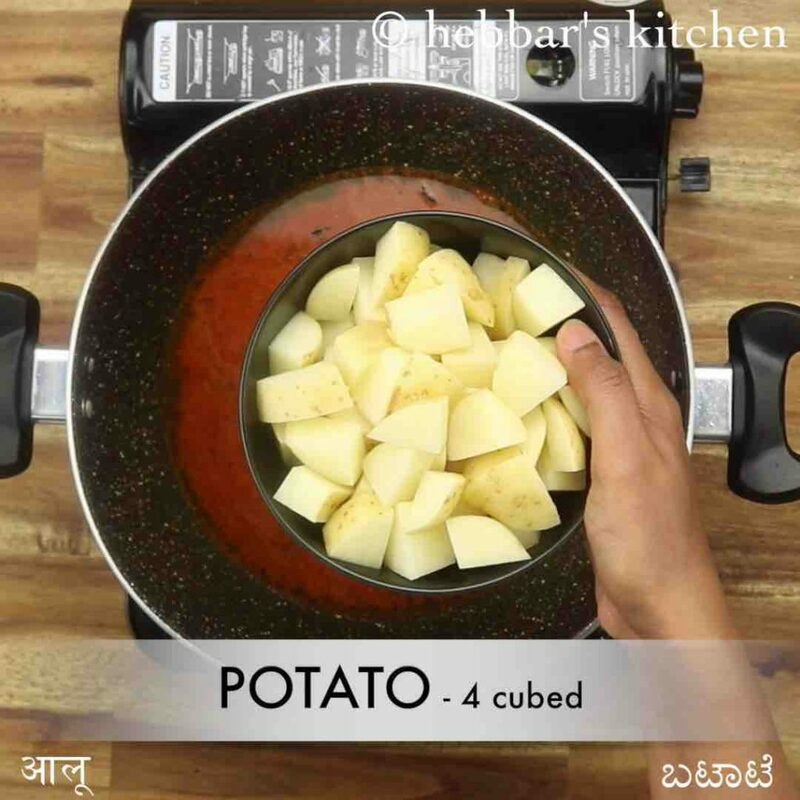 furthermore, some easy and important tips and suggestions for a perfect and tangy batata nu shaak recipe. firstly, in this recipe, i have cooked the roughly chopped potatoes with the gravy and it can take a while to cook the potatoes. 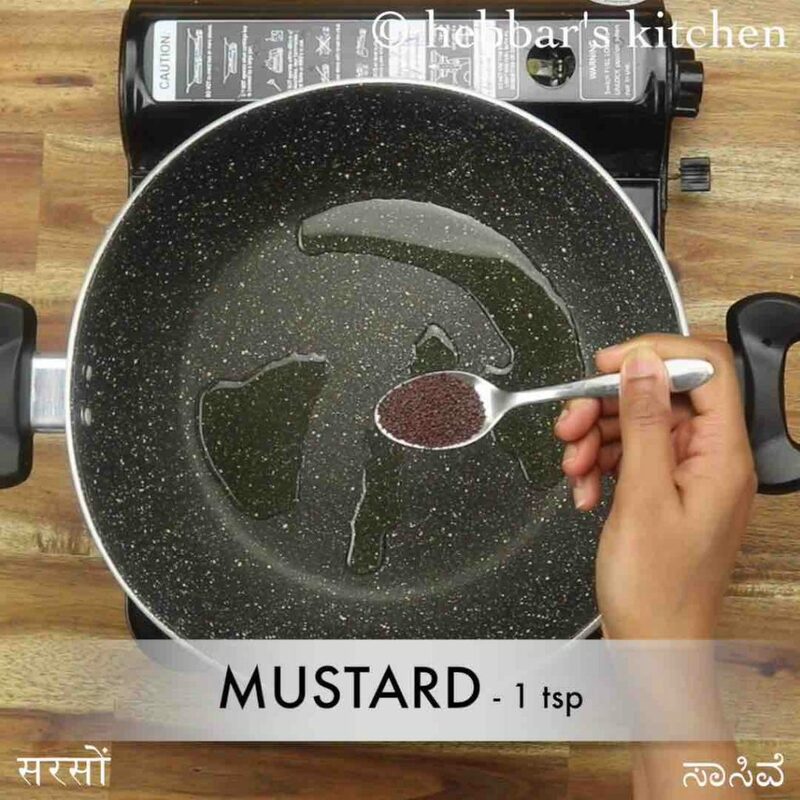 while it is recommended to cook this way but to hasten the cooking process, you can pressure cook it and add it to the gravy. secondly, the combination of tamarind and jaggery is the usp of this recipe, but you can skip adding jaggery if you do not wish to. lastly, i would recommend to make this curry overnight and serve it next day. 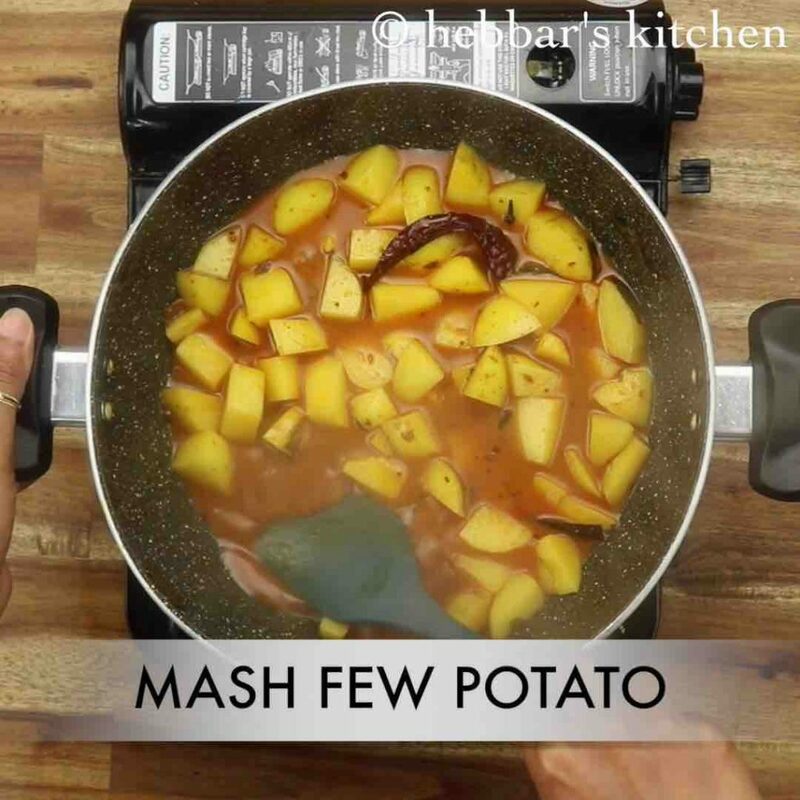 the potatoes would absorb the spicy and gravy to make it more tasty and flavoured. 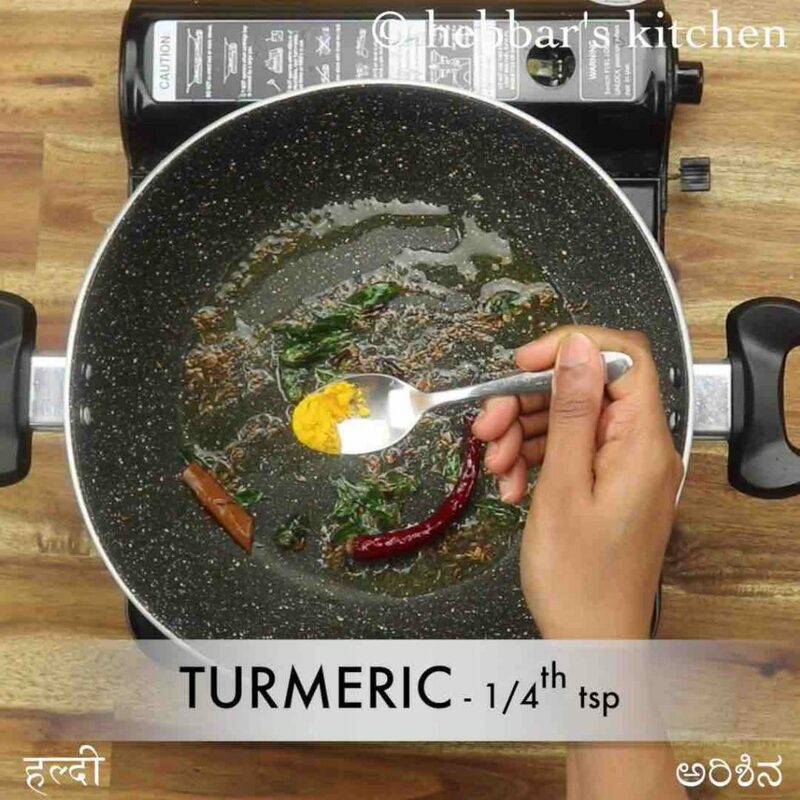 firstly, in a large kadai heat 2 tbsp oil and splutter 1 tsp mustard, ½ tsp cumin, ¼ tsp methi, 1 dried red chilli, 1 inch cinnamon, 4 cloves, pinch hing and few curry leaves. keeping the flame on low add spices. 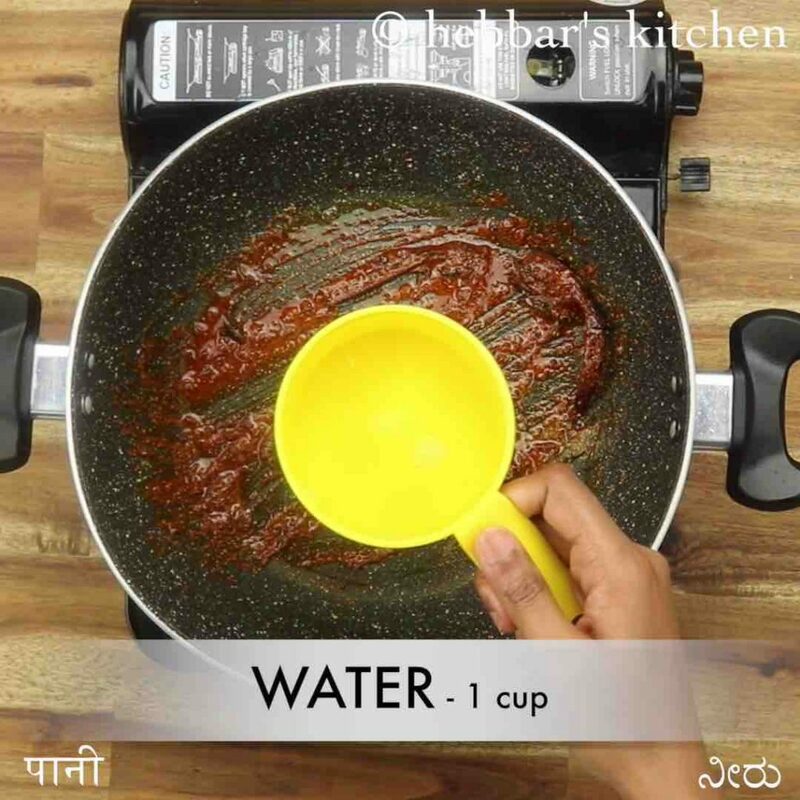 further, add 1 cup water and stir well. add in 4 cubed potato and 1 tsp salt. mix well. 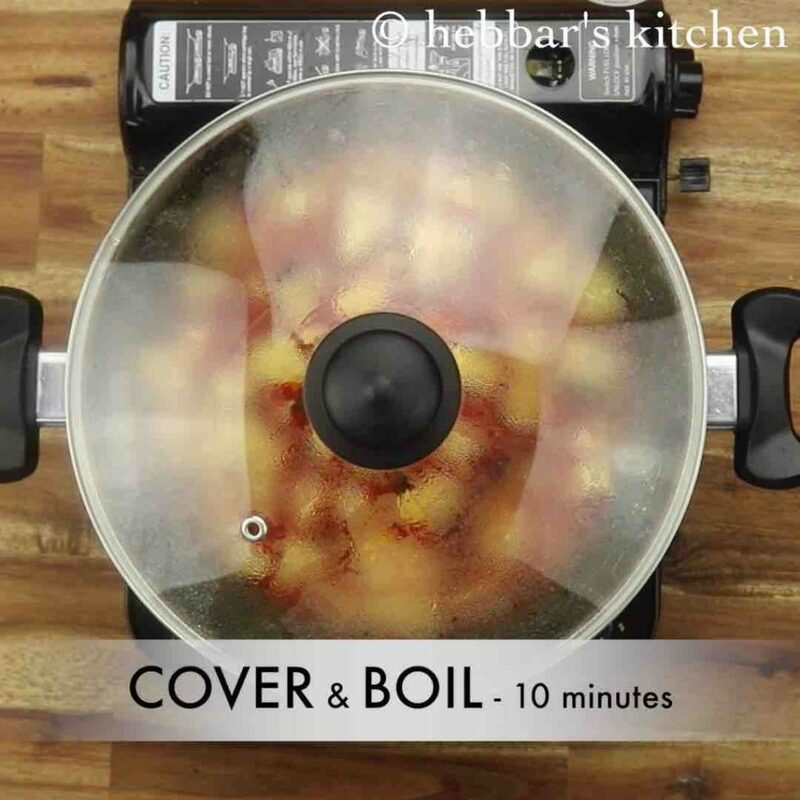 cover and boil for 10 minutes or until the potatoes are almost cooked. 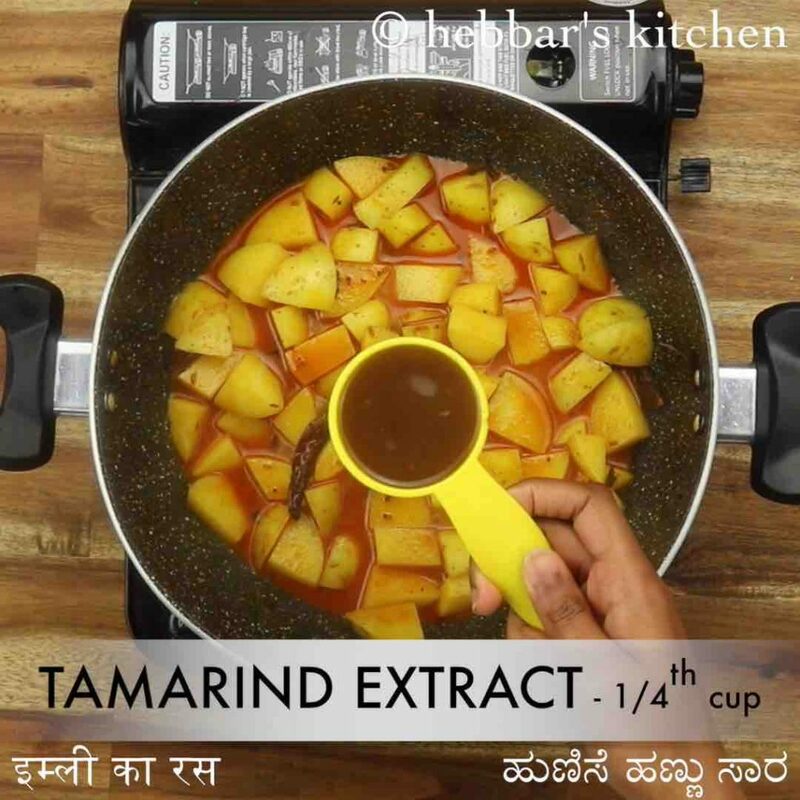 furthermore, add ¼ cup tamarind extract and 1 tsp jaggery. stir well. 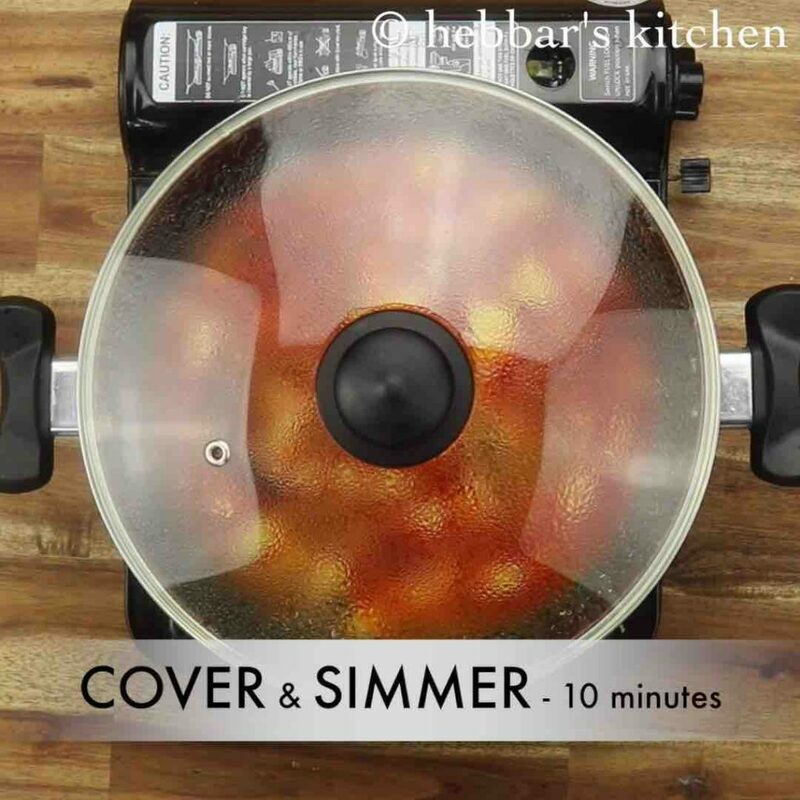 additionally add ½ cup water, cover and simmer for 10 minutes. cook until the potato is cooked completely. mash few of the potatoes adjusting consistency as desired. finally, enjoy batata nu shaak with steamed rice or roti. 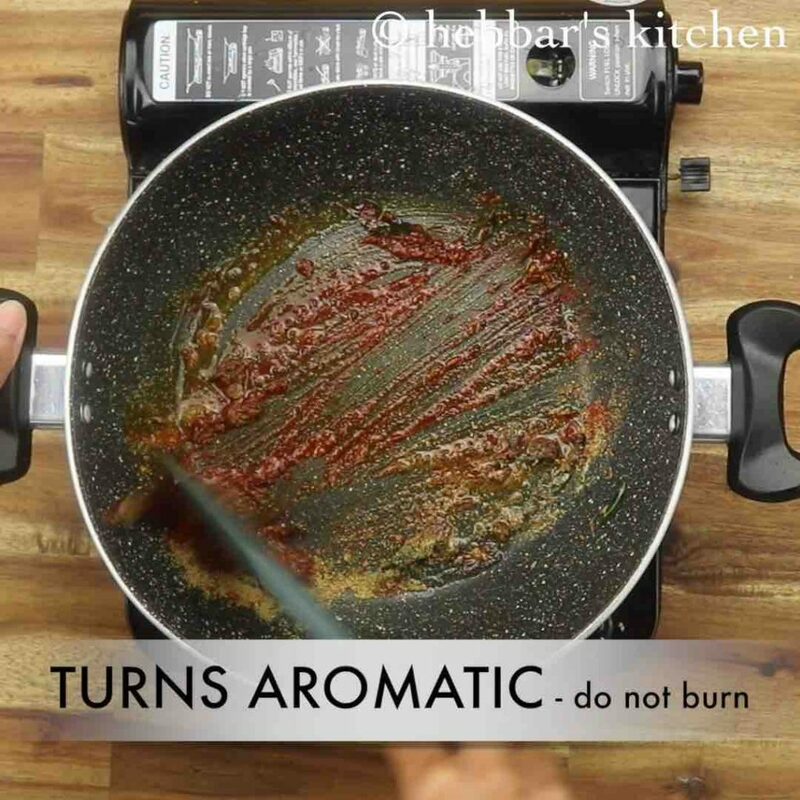 keeping the flame on low add ¼ tsp turmeric, 1 tsp chilli powder, ¾ tsp coriander powder, ¼ tsp cumin powder and ½ tsp garam masala. saute on low flame until the spices turn aromatic. 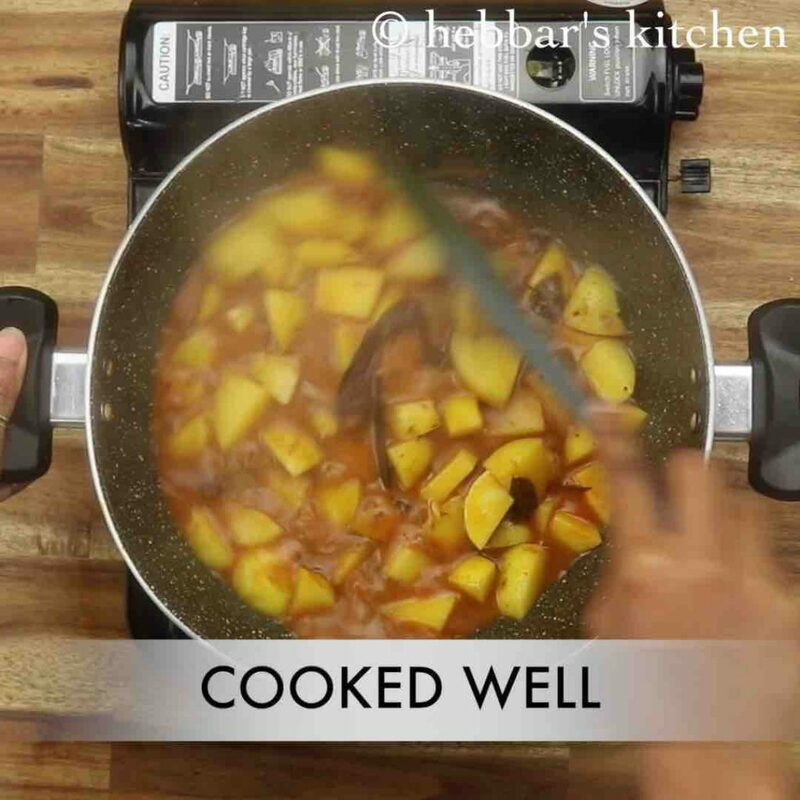 firstly, add tamarind extract only after potatoes are almost cooked. else hey will not cook completely. also, add matar along with potato for variation. additionally, saute the spices on low flame, else they may burn and tastes bitter. finally, adjust the consistency of batata nu shaak as required.